Long, long ago a cute couple got married. Their wedding was small, simple and lovely and 100% DIY. And yes, I am talking about my nuptials with my husband Steve 11 years ago. I didn’t want a traditional wedding at all. I designed and styled the entire beautiful thing using a colorful Indian theme. The first big decision we made was to create a great invitation with supplies we already had on hand. 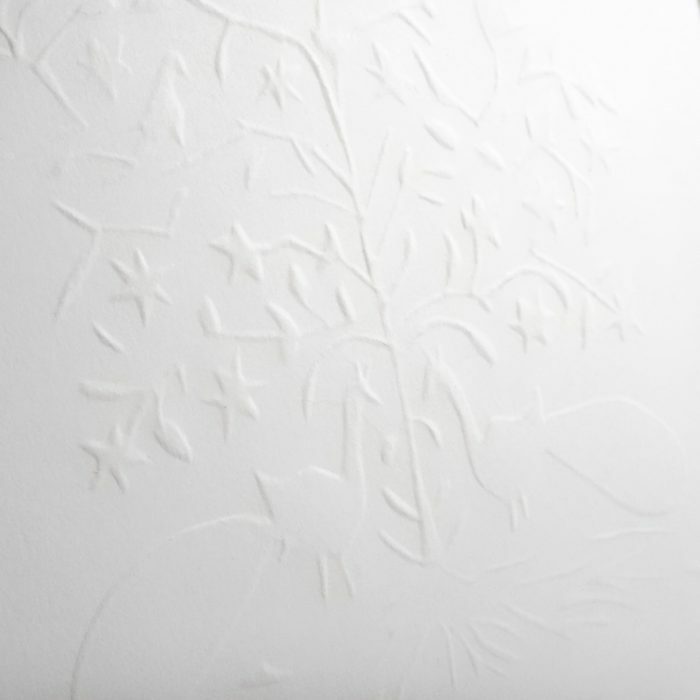 The end result was a hand-embossed white invitation. Letterpress invites would have been wonderful, but instead, I created a template out of cardboard and rubbed the design into the paper. We chose an image of two Indian love birds (actually a peacock and peahen). I guess I need to do a post about our wedding, because it was beautiful and there is a lot to tell about it from a design point of view. 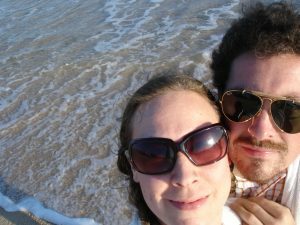 But this post is about something that happened after the wedding… the honeymoon. 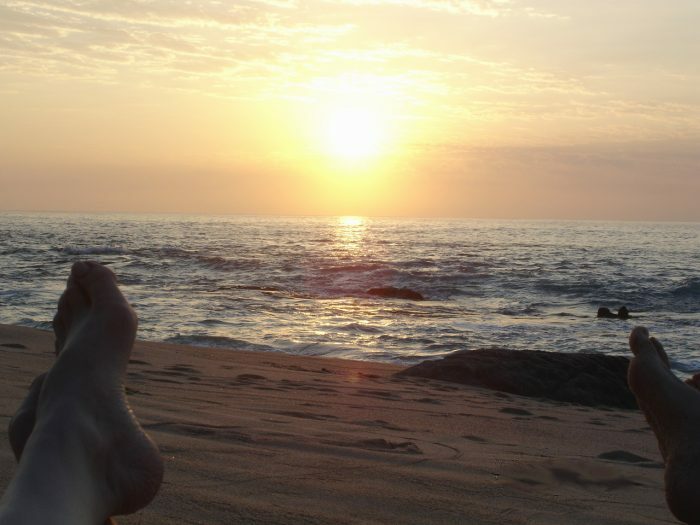 We were really lucky to receive as a wedding gift, a place to stay in Cabo San Lucas for a week. We used mileage points and flew away to Mexico. As soon as we pulled up at our hotel I fell in love. On the benches at the entrance of the hotel were huge, amazing embroidered pillows of animal and plant designs. 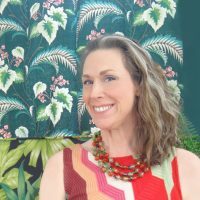 What I didn’t know then is that they were examples of a very old Central-Mexican craft called Otomi. The embroidered images are said to be based on images from cave paintings. Usually a natural colored cotton fabric is covered with freehand drawings and the embroidery is created by using a satin stitch over the drawings. The animals (deer, birds, armadillos…) and plants depicted are usually seen in profile. 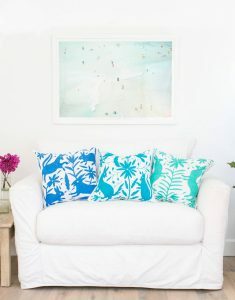 Stitched in beautiful bright colors, they are stunning. Since Mexico is so inexpensive we were able to stay within our travel budget, and purchase some gifts for people. The one thing I really wanted as a souvenir for myself was a bunch of Otomi embroidery pillows. 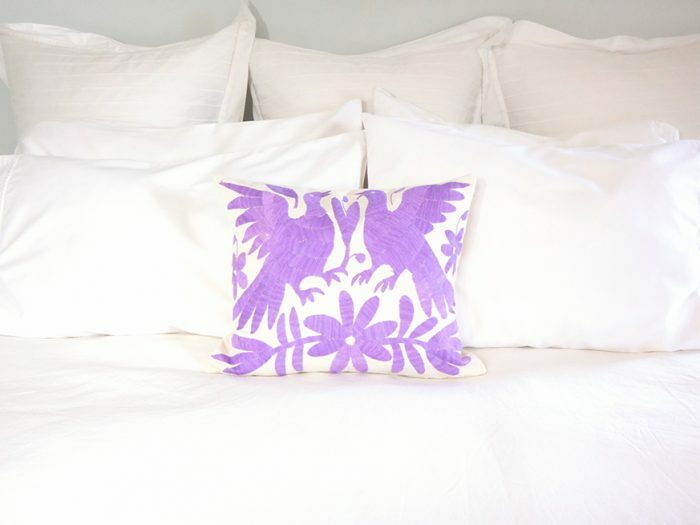 One day we went to the lovely town of San Jose del Cabo to shop, and I was really bummed out when we discovered that Otomi was actually quite expensive. I had imagined getting many sham sized pillow covers for our apartment. After lots of contemplation we splurged and bought ONE 12″ x 16″ embroidered piece of fabric showing Mexican love birds, reminiscent of our wedding invitations. That lovely Otomi embroidery piece sat stored in a bin with antique lace and linens that came from my grandparents’ house for 11.5 years (we moved that bin twice). So, today the big news is that I rediscovered it, picked a fabric for the backing (from my famous fabric stash) and had my mom create a pillow cover. We finally have it on our bed. 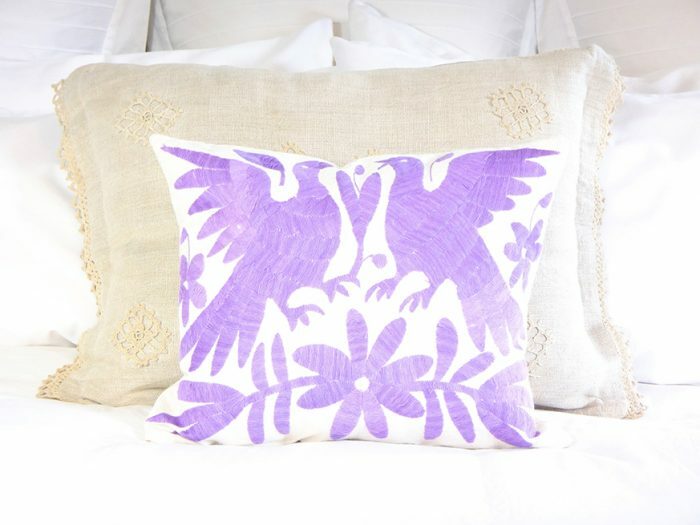 I would still love to have more Otomi, but after so long I am good with our little purple love birds. 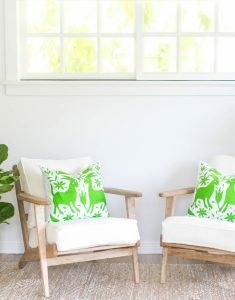 You can buy some amazing Otomi pillows like those pictured below, from The Little Market.